As sweet as cinnamon: Excited plus babies. Now to find time to sit and play... 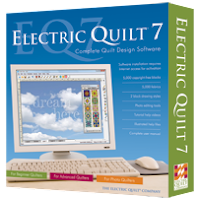 I have never been into computer games and sitting on the computer for hours on end seemed useless unless I was reading blogs to inspire my sewing adventures..Lol..
EQ7 for me to play with. tonight for Birthing Better Babies. A charity that helps the women of Baseco. have no means of support to give birth. They give birth in the slums of Baseco. No running water, not sanitation, no clean place to lay. immunisation, health care, ultrasounds and birth packs. And I have donated two of my quilts for silent auction at the venue. with all proceeds going to Birthing Better Babies. If you are going tonight, I look forward to meeting up. I hope the auction goes really well for you tonight, such a good cause. Good for you - EQ7 is on my wish list! Love your quilts for auction, Dawn, what a worthy cause. You are a sweet soul! You are really a mother to all...........I just love ya up to the moon and back!!! How exciting that you have your EQ7 ... you're gonna have such fun with that he he. What a darling you are to donate your quilts to such a worthy cause. Sweet Dawn you've got a heart of gold!! Pink playdough fun...quiet time for mummy! Green, Light Yellow and Blue Pinwheel Pincushion. Do you want a pincushion too? Sweet Blessing received at just the right time! Between Charming Friends quilt finished!